•Newly designed ventilated nosepiece allows heat to dissipate from nose bridge to reduce fogging. •Soft dual injected rubber temple tips and flexible nosepiece provide non-slip comfort. 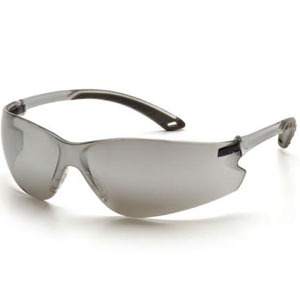 •9.75 base curved lens provides excellent side protection against airborne particles. •Lightweight, frameless protection is ideal for all-day wear.